Tired-looking eyes caused by heavy eyelids or puffy, saggy under-eye bags are one of the most common complaints of patients contemplating cosmetic surgery. Eyelid surgery, or blepharoplasty, can restore a more energetic and youthful appearance — you should look refreshed, as if you’re just back from holiday. Even so, the operation will not remove all wrinkles around the eyes, especially laughter lines. 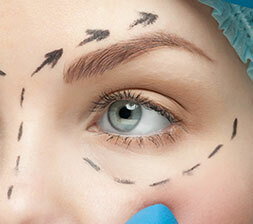 A blepharoplasty may be performed on the upper eyelids, the lower eyelids, or all four lids. It may also be combined with other procedures, such as a droopy eyelid lift (ptosis surgery) and brow lift surgery. Mr Kamalarajah will discuss the options in detail so that you are able to make an informed decision. The lower lid lift, or eye-bag removal remains one of the most difficult cosmetic procedures. The reason is that the lower eyelid cannot be considered on its own but must be taken in consideration with the whole mid-face and face. The lower eyelid rests against the eyeball and needs to be in perfect position to protect the eye and carry the tears with each blink into the tear ducts. 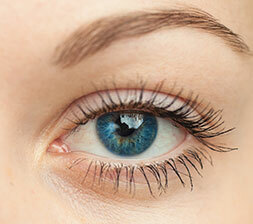 Any attempt to remove too much skin from under the eye carries a great risk of the eyelid hanging away from the eye. This is made worse if there is any underlying lid laxity. This leads to a poor cosmetic and functional result, and a very unhappy patient! In a similar fashion the orbital fat that surrounds the eyeball in its socket can bulge forward as we age, and the temptation is to remove this fat. Removing too much orbital fat however, can lead to a hollow appearing socket, with again a poor cosmetic result and unhappy patient! Blepharoplasty is often performed under local anaesthesia, with no need for an overnight stay in hospital. 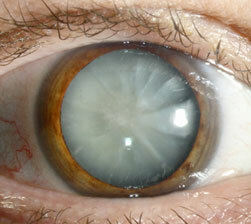 The operation lasts one to two hours at most – less, if only the upper or lower eyelids are being done. You can have additional sedation if you choose, or opt to have a general anaesthetic. In upper eyelid blepharoplasty, a fine incision is made in the existing crease above each eye, which minimises the visibility of any scaring. A crescent of excess skin and muscle is removed. In some cases a small amount of fatty tissue is also removed. The incisions are then closed with fine stitches. These are usually removed within two weeks, or dissolve. Bulging lower eyelids can make even young people look tired, despite the absence of apparent excess skin. Under these circumstances, lower eyelid blepharoplasty surgery is often performed from the inside of the eyelid so that there is no visible scar. If excess skin needs to be removed, then a fine incision is made in the crease immediately below the eyelash line, extending out into a natural skin crease in order to minimise the visibility of any scarring. Ten days prior to surgery, if safe to do so, stop regular aspirin to minimise the risk of bleeding (I would have discussed this with you at your initial consultation). Avoid using ibuprofen or other non steroidal anti-inflammatory agents. If you are having general anaesthetic or sedation, a vein in the back of the hand has a needle inserted, after which there should be no pain at all. The wound may ooze slightly, if there is profuse bleeding you should contact me. The stitches will usually be removed a week after surgery. Once they’re out, the swelling and discolouration around your eyes will gradually subside, and you’ll start to look and feel much better. Most people feel ready to go out in public (and back to work) in a week to 10 days. By then, depending on your rate of healing, you’ll probably be able to wear makeup to hide the bruising that remains. You may be sensitive to sunlight, wind, and other irritants for several weeks, so you should wear sunglasses and sunblock when you go out. Keep your activities to a minimum for three to five days, and avoid more strenuous activities for about three weeks. It’s especially important to avoid activities that raise your blood pressure, including bending, lifting, and rigorous sports. Minimise alcohol, since it causes fluid retention.